Step Two: Place your mat or rug one step in front of your dog. Toss a treat on the mat and tell your dog to “go place”. When your dog steps onto the mat and eats the treat, Praise and Release. Duration: Gradually increase the length of time the dog remains on the mat before the Release. Distance: Once your dog is able to leave your side and go one step to the mat without assistance and remain there for 2 minutes, you will start to increase the distance away from the mat that your dog is sent one step at a time. Each time you add distance, reduce the length of time the dog remains on the mat and gradually increase the time again. 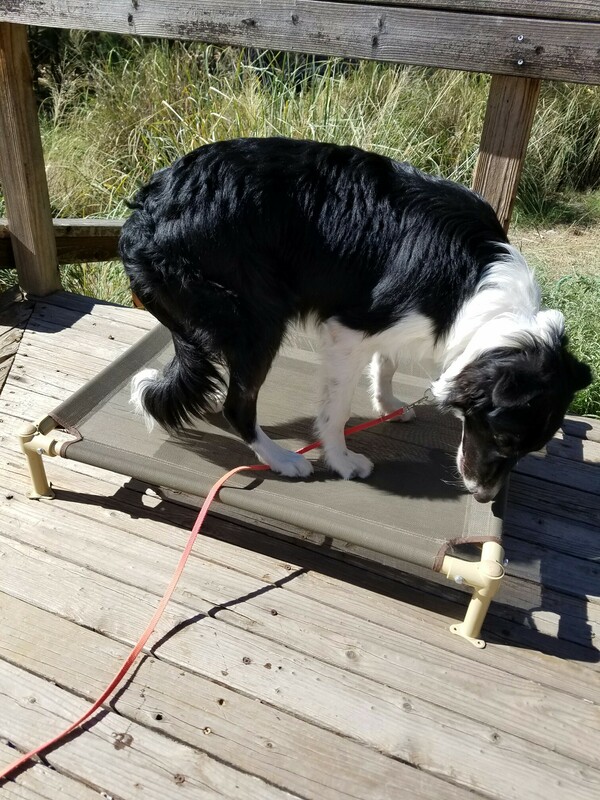 Until the dog is successfully completing a “go place” at two steps without physical assistance you will not move further away. Each increase in distance should be one step at a time. Continue until you can send your dog 20 feet to a mat and the dog stays until Released. Distractions: Reduce the distance you stand from the mat back to one step and have a distraction ten feet away. If you have been working without a leash, make sure you put a leash back on your dog so that you can prevent him from going to the distraction. Send your dog to the mat. When your dog is successfully ignoring the distraction, move the distraction one foot closer and repeat. Continue to move the distraction closer only when the dog is able to successfully ignore it. 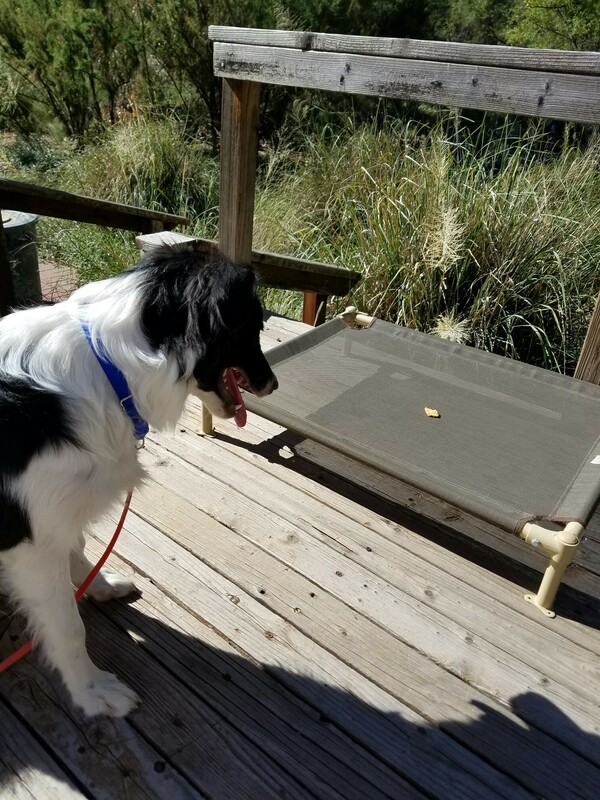 Difficulty: Once your dog is ignoring a distraction and able to “go place” from one step away, start increasing the distance you send your dog one step at a time and begin with the distraction ten feet away again. Continue to vary the distance you send the dog, the type and location of distraction and duration of the stay on the mat. Much larger treat than I normally use but I wanted it to be visible. This entry was tagged Farm Dog 101, Fix. Bookmark the permalink. ← Fall = Hunting Season = Deer . . . The next morning. . .